The UK Modern Slavery Act can transform business action to eradicate slavery, but only if investors, civil society, consumers and companies use their leverage to ensure it. Under Section 54 of the UK Modern Slavery Act (the act), over 12,000 companies (government estimate) operating in the UK with a turnover of over £36 million are expected to engage in meaningful due diligence to find risks and produce robust statements detailing the steps they have taken that year to eradicate modern slavery and human trafficking from their operations and supply chains. These statements must be approved by the company boards and signed by a company director (or equivalent), and be available from the homepage of the company’s website. Guidance published by the Home Office suggests, but does not require, that companies describe their organisational structure, risks, company policies and due diligence to eliminate those risks. The minimum requirements under the act are significant: approval by the board demands buy-in from the very top for company-wide action to combat slavery risks; a director’s (or equivalent) signature creates clear accountability; and access to the statement from the company’s homepage means easier scrutiny by consumers and investors. For many advocates the act falls short of what they wanted with regard to reporting. Critics claim that there is no monitoring mechanism to verify whether companies that are meant to report do so; there is an ineffective enforcement mechanism for those companies that fail to report; and no legal consequence for reporting that no steps have been taken to address modern slavery. While some in the anti-slavery movement continue to fight, rightly, for reforms to the legislation that will comprehensively meet the needs of the millions of victims of slavery across the world, others continue to work with the act we currently have to push for better corporate action now to eradicate slavery. The process of a company producing a statement under the act, if done in the right way, prioritises slavery and trafficking issues with the company’s senior management; but what happens next with these public statements is critical. If the act is to be effective in changing corporate behaviour, statements must be scrutinised by civil society, investors, and consumers to reward leaders and expose laggards, identify areas of weakness across the board, and ultimately demand better action. As the UK government itself has said, Section 54 seeks to create a race to the top and create positive competition among businesses. Statements of companies with name recognition will be sought out, while less familiar companies will get away with not reporting at all. The first step, then, is to make statements accessible. One way, and the most logical, is to gather companies’ statements from their websites and put them in a central database. Without a central register of statements, it is nearly impossible to monitor whether companies that are meant to report have done so. A consequence of this, however, is that the statements of companies with name recognition will be sought out, while less familiar companies will be able to get away with not reporting at all. This asymmetry removes the level playing field sought by companies in the first place. The government was widely seen as the natural body to establish and maintain such a registry, not only to make statements accessible but as an enforcement and monitoring mechanism. The government has made clear it leaves the task of creating a central registry to civil society. In February of this year, we at Business & Human Rights Resource Centre rose to this challenge, creating the UK Modern Slavery Act Registry; the only free, public and transparent database of company statements. The registry, nearly one year on, now has over 1,300 statements and can be searched by company name, headquarters and sector. We maintain the registry, which is guided and supported by a group of partner organisations that includes: Freedom Fund, Humanity United, Ethical Trading Initiative, CORE Coalition, Focus on Labour Exploitation (FLEX), Walk Free, Anti-Slavery and Unicef UK. The Business & Human Rights Resource Centre does not accept funding from companies and the same rules apply to the registry, which is currently being funded by a small number of its supporting partners. The next step: statements must be scrutinised. Business & Human Rights Resource Centre recently analysed the statements of the first FTSE 100 companies to report under the act – a total of 27. We looked at whether the statements included information on the six criteria suggested under the act and the quality of the action reported. The criteria are: structure of business and supply chains, policies, due diligence, risk assessment and management, effectiveness and training. Each of the six areas are important in providing a complete picture of what a company is doing internally and externally to tackle modern slavery. The analysis found there is a gulf in the quality of action between a handful of leading companies and the rest. Companies like Marks & Spencer and SABMiller (acquired by AB InBev on 10 October 2016) produced more detailed statements that disclosed some robust measures, but improvements are needed across the board. The analysis found there is a gulf in the quality of action between a handful of leading companies and the rest. One of the biggest gaps in reporting among those statements was a lack of detailed information on the structure of supply chains and information related to specific risks or instances of modern slavery in the supply chain. This is particularly discouraging as this is the core of Section 54; from investors to consumers, people reading these statements want know what companies are sourcing and from where. They want to read about the risks and actual instances of modern slavery found in the supply chain, as well as where in the supply chain these risks and instances exist. Is the risk related to a specific commodity? Is the risk high in a specific region or country? There are several reasons that explain the general weakness in reporting. It is the first year of reporting and many companies have not previously looked at these issues. Some large retailers and manufacturers may already be reporting under the California Transparency in Supply Chains Act of 2010. But a far greater number of companies are caught under the British Modern Slavery Act: it is aimed at all sectors, not just retailers and manufacturers; it applies to goods and services, not just product supply chains; it applies to companies with a much lower turnover threshold. Therefore, there are many companies that have not previously been required to look into their supply chains and will be scrambling to do so now. This may be a reasonable explanation for companies addressing these issues for the first time, however, statements are expected to improve year on year and this excuse will quickly become inadequate. The act may be viewed by some companies as yet another compliance exercise, which would explain why some statements read as though they have been prepared with box-tick approach. Perhaps risk averse lawyers are not allowing detailed disclosure, as we have heard from various companies. It is worth noting that of the 1,300 company statements on the UK Modern Slavery Act Registry, none of them explicitly states that the company has taken no steps to address modern slavery in its operations and supply chains. While most statements on the registry present general information about having zero tolerance for modern slavery rather than providing detailed disclosure on things such as due diligence or risk assessment, there is some attempt to address some of the six suggested criteria. Despite the lackluster findings from these first statements, it is clear the act is driving change. Statements we analysed in our report stated that as a result of the act, modern slavery policies and processes have been developed and implemented, or were in the process of being developed. For example, Marks & Spencer has, as of May 2016, revised its ‘global sourcing principles’ on forced labour and agency labour by adding a new statement prohibiting the payment of direct or indirect recruitment fees to secure a job, and requiring suppliers to have adequate due diligence in place to ensure this does not happen. Sky plc has conducted a specific modern slavery risk assessment across its own operations and all its suppliers. 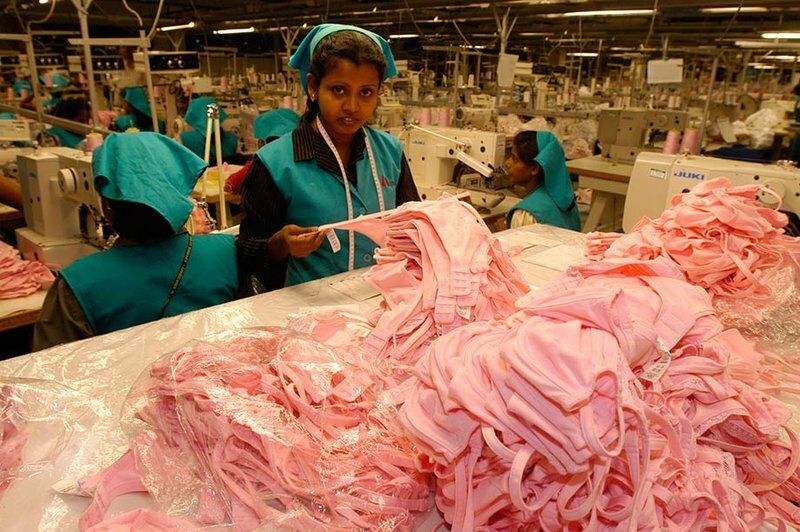 Burberry is developing specific modern slavery and labour rights training for key Burberry employees who interact with its supply chain networks. It is also intended to support those travelling to supply chain facilities so that they are familiar with the risk areas, likely indications of human rights abuses (including instances of modern slavery) and possible actions to take if an incident of modern slavery is identified. A report recently published by the Ethical Trading Initiative and Hult International Business School investigated corporate leadership responses to modern slavery within 71 leading brands and retailers. Their findings show that the act has had a positive impact on corporate behaviour and culture within many of these companies. Corporate executives call the act a game-changer, and the report gives examples of increased senior level engagement with modern slavery and significant progress in multi-departmental participation in addressing modern slavery. Most companies are more actively engaging with peers since the act was passed and they believe engagement with stakeholders is critical for significant change. The findings illustrate how modern slavery is finally being addressed at the top level in some companies, but it is yet to be seen how this will translate into changes on the ground for the workers. However, this top level acceptance that modern slavery is an issue that affects a company’s operations and supply chains is a critical first step before a company can develop and implement a modern slavery strategy that can be carried out throughout the company and affect change on the ground. Modern slavery is finally being addressed at the top level in some companies, but it is yet to be seen how this will translate into changes on the ground for the workers. Companies should have received the message loud and clear by now that the world is watching. It is not just civil society organisations and academics interested in these issues. Investors are also asking companies what they are doing to address modern slavery. It is considered a material business risk and investors want assurance that companies are assessing their supply chains and mitigating their risk of modern slavery. Investors do not only fear that their investee companies can suffer reputational damage if it becomes associated with modern slavery, but that they themselves will suffer it as well. This is reflected in the ETI report which states investor interest has increased as a driver for companies to address modern slavery; 25% of the companies surveyed now see investors as a strong driver versus 0% in 2015. We are increasingly being asked by companies, consultants and investors to advise on what is leading practice on the criteria set forth in the act. We are being asked because modern slavery has hit a societal nerve. It is perceived as a straightforward problem, a scourge, that stakeholders want to see eradicated. Government are also sitting up and taking notice. The act is part of a clear legislative trend we are seeing towards mandatory transparency and due diligence, one that started with the California Transparency in Supply Chains Act. By the end of this year, EU member states will transpose the EU Non-Financial Reporting Directive into their national laws, which will require about 6,000 large companies to report on ESG matters including human rights. In France, draft legislation requiring large companies to produce a due diligence action plan is being considered, and if successful will likely see the first plans published by the end of the year. In Switzerland, a petition has gathered enough signatures to require the government to consider an amendment to the constitution that would require companies to carry out mandatory due diligence in relation to human rights. This will ultimately be put to the Swiss public in a referendum. In the USA, legislation was passed in February requiring the US border enforcement agency to block goods that are suspected of being manufactured with forced labour – and in the last few weeks we have seen it exercise this power on two occasions. The early days of the Modern Slavery Act have demonstrated that it has the potential to drive change in corporate behaviour. Long-term success will require rigorous action beyond the corporate sector. It is imperative that leading companies step up and show their peers how to take meaningful action to combat modern slavery. At the moment, however, companies are wary of disclosing known risks and instances of modern slavery for fear of reputational damage, particularly if their peers are not disclosing similar information. Therefore, there needs to be a change in public reactions to such disclosure, where we applaud companies that have due diligence and risk assessments in place that find modern slavery risks. Media will play an important part in changing this discourse. Equally important is the need for civil society, investors and consumers to scrutinise reporting, applaud those leading companies and demand ever more action from laggards. While the act places the duty on companies to produce robust statements, every stakeholder will need to act to ensure the its success.